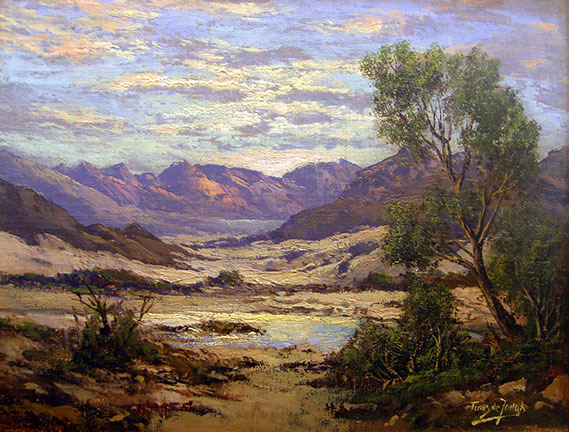 Tinus De Jongh was one of South Africa’s most popular painters. Self-taught, he began his career as a decorator in the Netherlands, and then pursued painting full-time. He achieved some note when the Stedelijk Museum in Amsterdam purchased one of his early pictures. He arrived in South Africa in 1921, practicing a sober style within the Dutch tradition, typified there by Still Life with Birds and Hare. 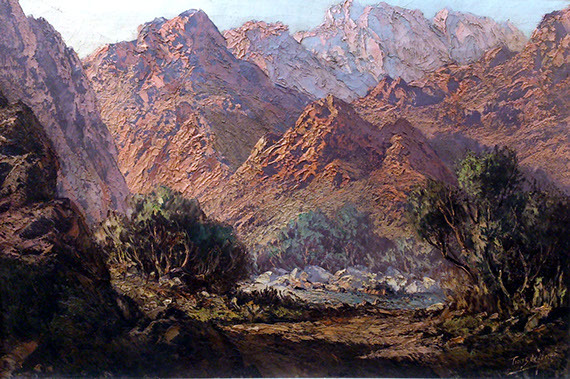 The light and landscape of South Africa soon caused him to abandon his muted palette in favour of more saturated colours. 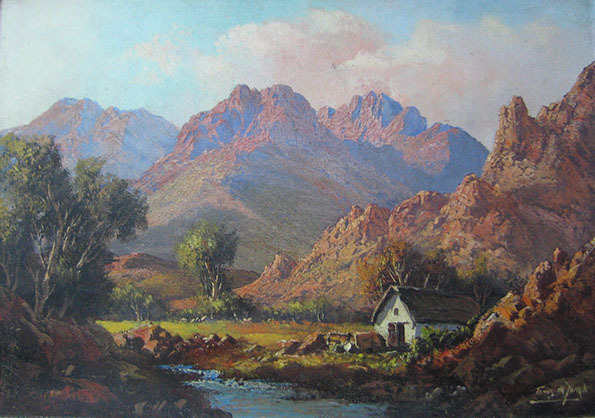 His formulaic approach to painting Cape landscapes with gabled farmhouses created such a demand that he abandoned his considered brushwork in favour of a broader palette knife technique. His etchings sold in the hundreds through his dealer Louis Woolf. He died on 17 July 1942 from lung cancer. 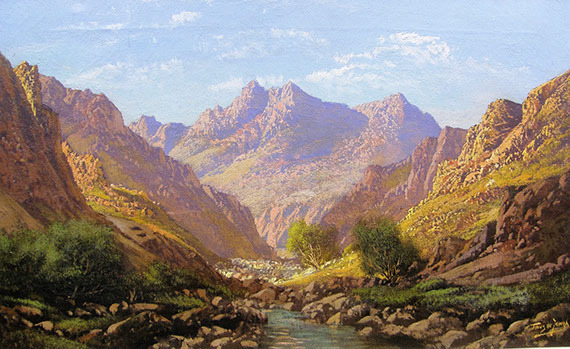 Tinus was the father of Gabriel de Jongh, who in his turn became a famous painter of landscapes in South Africa. The younger de Jongh died in 2004.